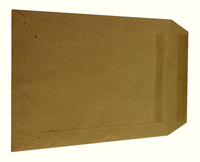 Manilla envelopes for secure posting. Tough 75gsm paper is designed not to rip. Self-seal closure is perfect for high volume mailing. Size: C5. Pack of 500 envelopes. Approx Dimensions (CM): D16.4 W26.9 H30.5. Approx Weight (KG):3.35.